*I add whole sprigs of rosemary to the oil, to infuse, and then 1T. of additional whole rosemary leaves to the nuts before cooking. I also substitute pure maple syrup for the sugar and actually like the flavor and texture a lot better than the white sugar. **Cut out orange sections from 1-2 Oranges (do this over a bowl, so that the juices are reserved for the vinaigrette) and set aside. Squeeze all of the juice from the skins and membrane of the orange into the vinaigrette bowl. Add the juice of 1 Lemon to the bowl. Add equal parts Walnut Oil to citrus juice. Add Sea Salt and Black Pepper, to taste. Whisk to combine. 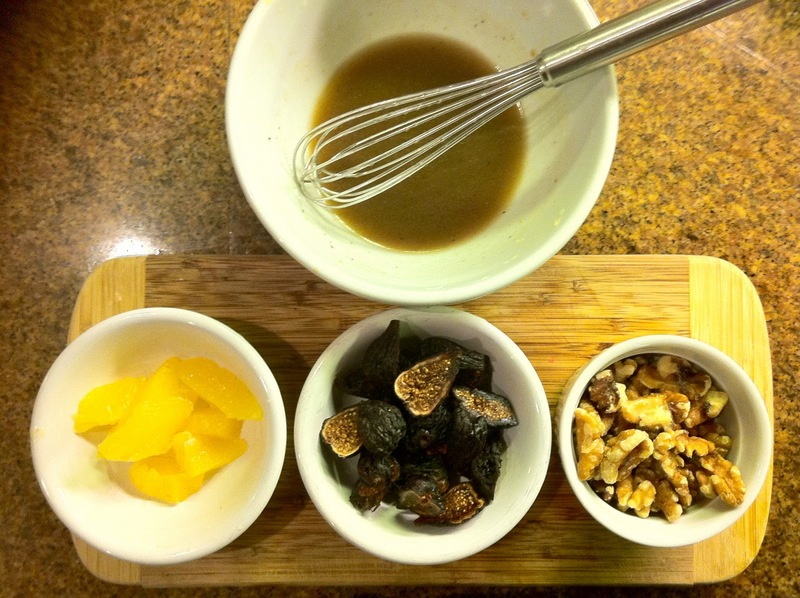 Toss Vinaigrette with Mixed Greens, Orange Segments, Walnuts, and Dried Figs. Pomegranate Seeds add a nice splash of red to this salad. And, Fresh Mint would add a nice freshness. Could you fix the link for the Bacon-Wrapped Turkey Breast w/ Sausage Stuffing? It goes to the smokey Sweet potatoes recipe. Thanks! Going to get the ingredients for the Moroccan meatbeals! Done! Thanks for the catch. Enjoy!